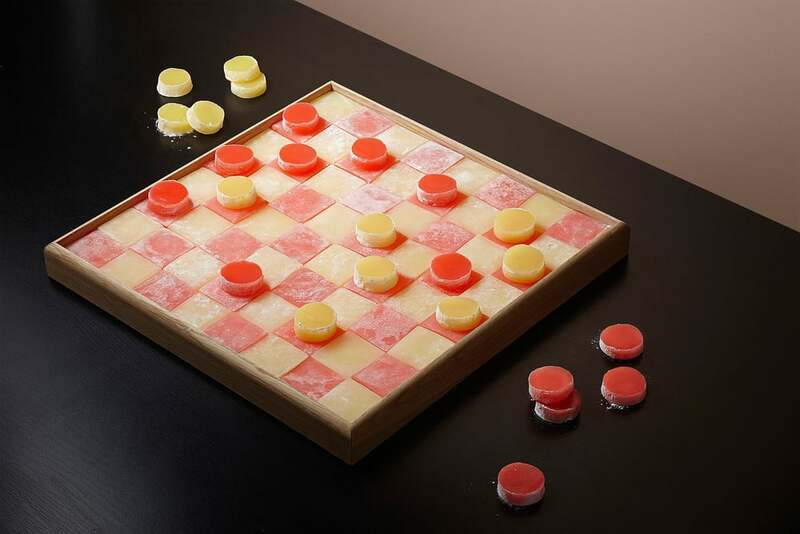 In this photo essay, Kinfolk playfully explores and artfully juxtaposes snacks, candies and treats in the format of well-known game boards and favorite games, such as checkers and Tic-Tac-Toe. The images invite the reader to connect with childhood memories, their imaginations active on an edible playground. From Kinfolk's Winter Issue. Kinfolk is a lifestyle magazine published by Ouur. Founded in 2011, Kinfolk is now the leading independent lifestyle magazine for young creative professionals and also produces international editions in Japan, China, Korea and Russia. "Chocolate dominoes, shortbread Jenga and Turkish Delight checkers—who says playing with your food shouldn’t be creative?"